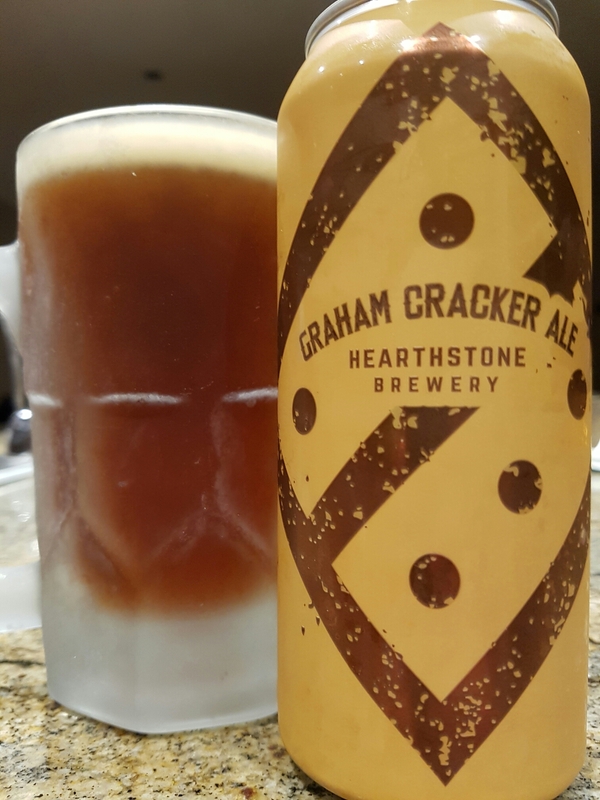 Graham Cracker Ale – Hearthstone Brewing Co. (North Vancouver, BC, Canada) | Justintoxicated. “In 1829, Presbyterian minister Sylvester Graham invented the graham cracker in an attempt at staving off an epidemic that was sweeping the nation – masturbation. As a tribute to Reverend Graham, we decided to concoct a graham cracker brew with 50 kg of graham crackers in each batch, resulting in notes of honey, vanilla and all around graham cracker goodness. Would I recommend this to beer aficionados: …mmm, nah. Visual: Pours medium dark brown with a smallish head, sticky lacing, a thin layer of retention, singular steady streams here and there. Finish: vanilla, toasted biscuity toffee malt exhale. Summary: It sounded gimmicky at first (~a la pizza beer), but actually, it’s quite drinkable with decent depth, complexity and balance. Somewhat astringently hoppy in the finish.